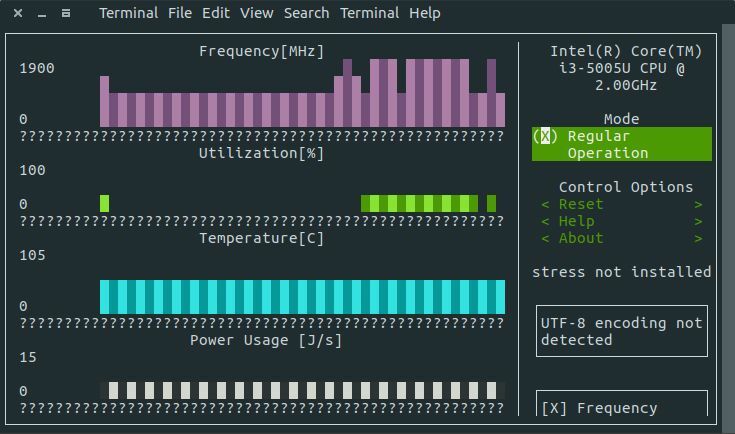 Stress Terminal UI (s-tui) is a free terminal based CPU monitoring tool for Linux. using this you can view and monitor the CPU temperature, frequency and utilization in a graphical way right from your terminal app. it also shows the CPU performance dips caused by thermal throttling in your PC. It is written in Python. Open the terminal app in Ubuntu and run (type and press enter key) the below command. Type your Ubuntu password. Then press the enter key. To run Stress Terminal UI on ubuntu, type the below command in terminal and hit the enter key. You can install Stress by using the command, if you would like to stress test your computer. Interesting. Can you give a link to the source?